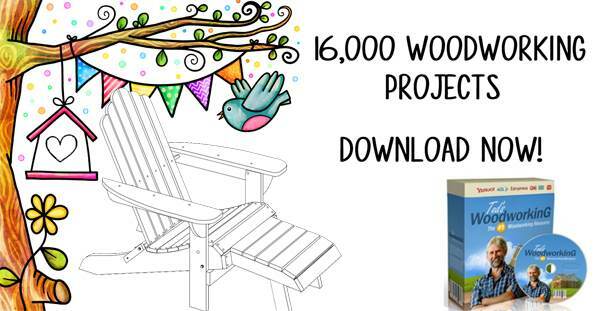 Build an heirloom gift that will always be remembered with free jewelry box plans. These containers can be a simple, lidded box or an ornate chest of tiny drawers that stands on the floor. Choose beautiful hardwoods or an exotic wood to create a one-of-a-kind box that shows your affection, as well as your woodworking talent. 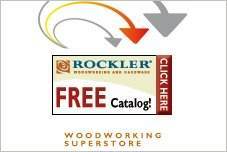 There are simple boxes perfect for the beginner, as well as advanced projects using band saw or jigsaw. Scrollwork surfaces lend elegance and many designs can be used to personalize your box. 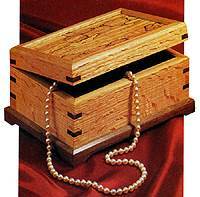 Whether you choose a rectangular, oval or heart-shaped box there are free jewelry box plans to accessorize any boudoir. Many boxes have lovely details such as keyed corners, dovetail joints or finger joints. Add a music movement, tiny mirror or line with velvet for an elegant look or add a clock face for extra drama. 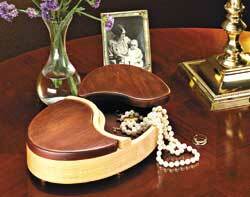 Build a lovely jewelry box with an inlaid heart on the top and a secret compartment using this plan. 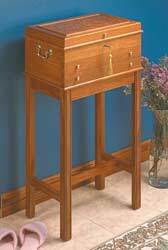 Build an attractive jewelry box with beveled mirror that rests on a stand. Quick and easy to build bandsaw box. 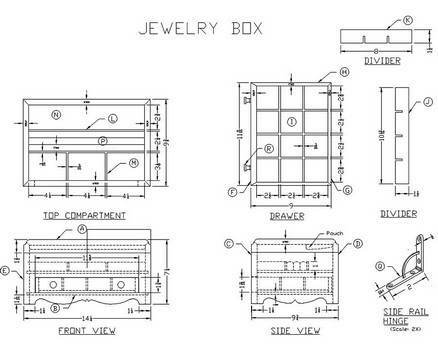 Plans and drawings for a wooden jewelry box that is lined with velvet and can accommodate your most precious jewelry. Download a template for this lovely two toned jewelry box with an oval shape and lids that swivel. Here is a plan that uses rail molding and masonite for building a simple jewelry box for Mom. 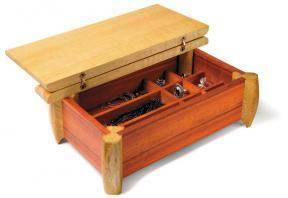 This is a simple jewelry box project that is perfect for the beginning woodworker. Build this jewelry box that has an oval cut mirror and an added touch of music. Here are plans for a two-toned jewelry box with modern styling. 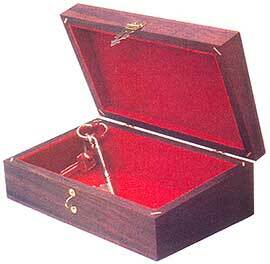 This felt lined wooden box measures 3x5x8 inches and has a number of uses. Two beautiful and unique scroll box patterns can be found here. Create this attractive keyed corner jewelry box using these easy to follow plans with helpful tips.